Honeybees and the contribution they provide to our world are endlessly inspiring! Long known as "the angels of agriculture", honeybees have been a subject in art since ancient Egypt. Coordinating with my past BEE collections, BEE JOYFUL continues presenting everything BEE with gentle words and sayings. Pairing rich, elegant vintage patterns with colors that are contemporary provides an on-trend look to this timeless theme. 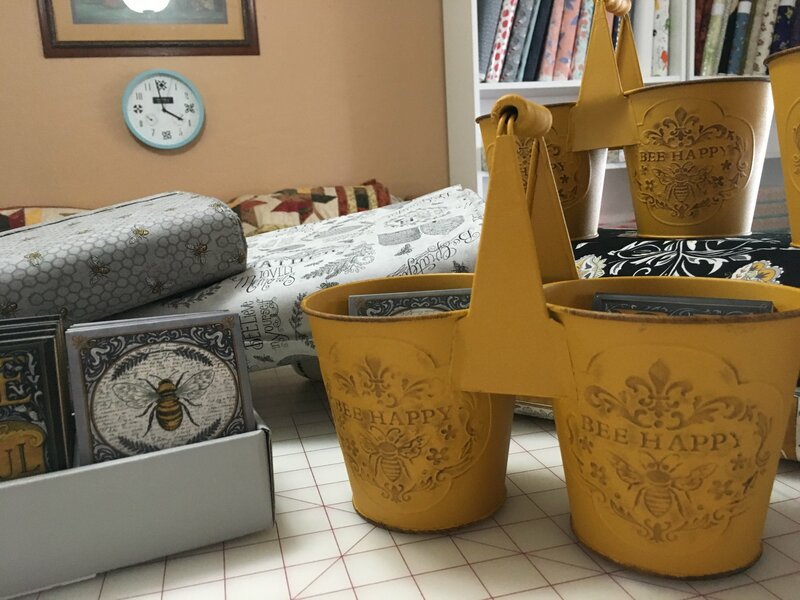 Whether creating an heirloom quilt or a tote bag, BEE JOYFUL will inspire BEE-utiful creations.